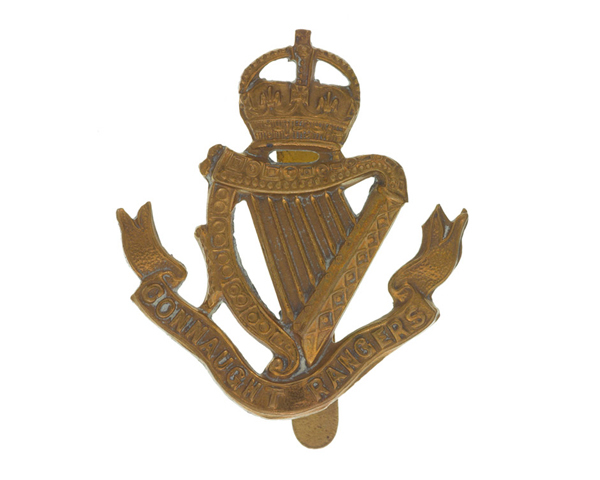 This was an infantry regiment of the British Army that mainly recruited in the west of Ireland. Created in 1881, it was disbanded in 1922 on the establishment of the Irish Free State. The regiment was established during the British Army reforms of 1881. The 88th Regiment of Foot (Connaught Rangers) merged with the 94th Regiment of Foot to form a new two-battalion unit. This new unit took its title from the 88th Foot, which traditionally recruited in the Irish province of Connaught. Both battalions served in various imperial garrisons over the next two decades. Additionally, 2nd Battalion sent a detachment to the Gordon Relief Expedition in 1884 as camel-mounted infantry, and in the 1890s deployed in its entirety to Egypt and the Sudan to take part in the Dongola Expeditionary Force. 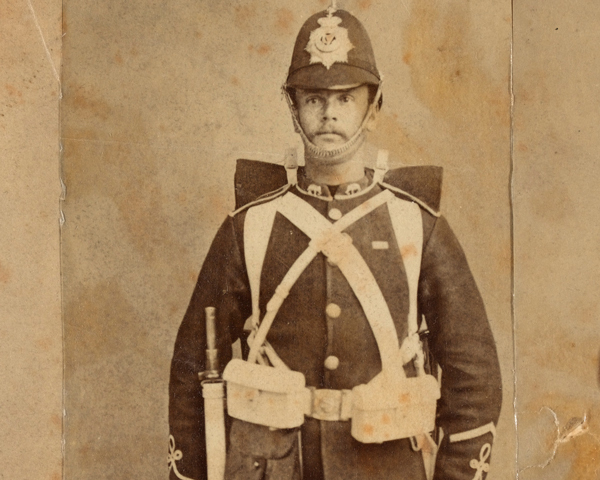 Meanwhile, 1st Battalion served in South Africa throughout the Boer War (1899-1902). Both battalions served on the Western Front in 1914-15. 2nd Battalion suffered such heavy casualties that in December 1914 it had to merge with 1st Battalion. 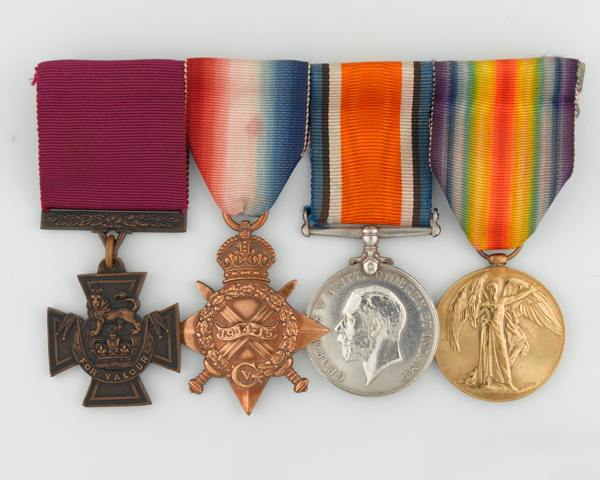 This was redeployed to Mesopotamia (now Iraq) in January 1916 and also fought in Palestine from June 1918. The regiment raised four Service and Reserve battalions during the war. The two Reserve battalions faced the Easter Rising in Dublin, while the 6th (Service) Battalion suffered such heavy losses during the 1918 German Spring Offensive that its survivors were merged into another regiment. 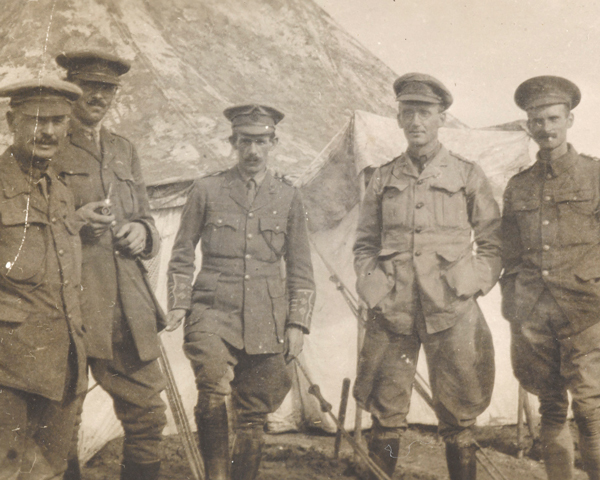 The 5th (Service) Battalion fought in Gallipoli, Salonika and Palestine and survived the war. It was renumbered in 1919 to provide the regiment with a 2nd Battalion once again. What famous song did The Connaught Rangers introduce to the Western Front in 1914? 2nd Battalion introduced the song when they arrived at Boulogne on 13 August 1914. Newspaper correspondent George Curnock witnessed the men singing and reported it a few days later. It quickly became a firm favourite among soldiers in France and Belgium. The new 2nd Battalion remained in England for the rest of the regiment’s existence, except for a year on occupation duties in Silesia in 1921. 1st Battalion spent most of the post-war period in India. In June 1920, some of the regiment’s men mutinied in the Indian city of Jullundur (now Jalandhar). They were protesting at the behaviour of the ‘Black and Tans’ during the Irish War of Independence (1919-22). Of the 88 men involved, 77 were sentenced to imprisonment; only the ringleader, Private James Daly, was shot. Daly remains the last British Army soldier to be shot for mutiny. In 1922, the Irish Free State gained independence and all five British regiments that were recruited there, including The Connaught Rangers, were disbanded. Search the enlistment books of The Connaught Rangers and the other Irish regiments disbanded from the British Army in 1922.